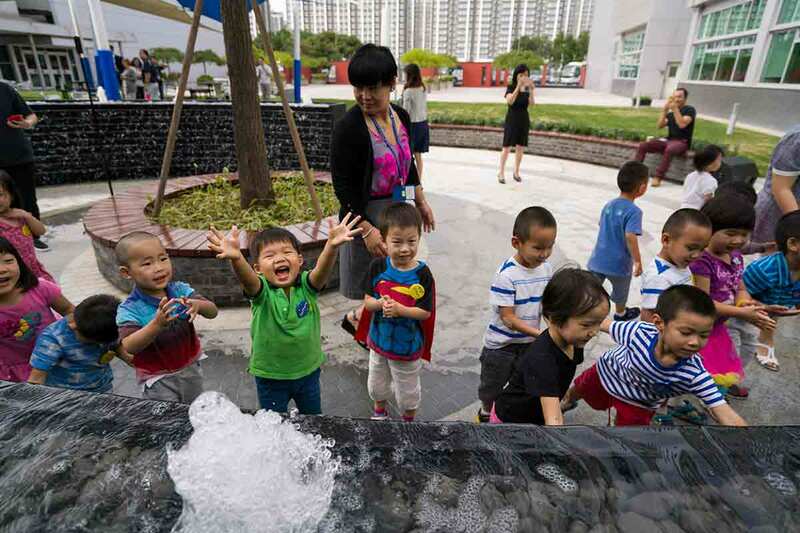 The International School of Beijing (ISB) unveiled its newest monument on September 6: a beautiful fountain donated by the PTA commemorating the school’s 35th anniversary. 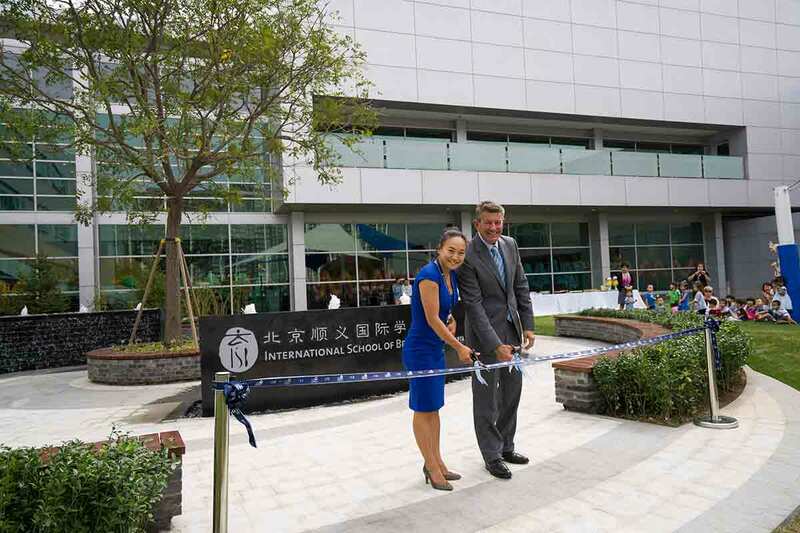 Head of School Tarek Razik and PTA President Cherry Wu led the fountain’s ribbon-cutting ceremony attended by parents, staff, and children. Nestled between the theater and swimming pool in a gated courtyard, the black granite fountain comprises two arc-shaped sections. 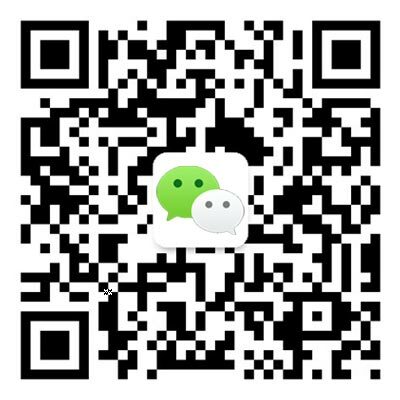 Its modern design incorporates traditional elements of feng shui, while its circular shape reflects the traditional Chinese yin and yang symbol. The fountain isn’t the first anniversary gift the PTA has donated to ISB. In 2010, it unveiled the Memory Wall outside the MS/HS Library to mark the school’s 30th anniversary. Speaking at the ceremony, Dr. Razik said the fountain was a reminder of what makes ISB such a special school. “It’s really a monument celebrating why we’re here: for our children. Our educators and parents past and present have always united to support our students,” he said. “This is a gift that will endure well beyond our time here at ISB. It’s nice for us to be here for its unveiling, because at some point we will look back on it – maybe in a photo or on the Memory Wall – and remember this moment,” he added. Ms. Wu expressed her appreciation to parents and administrators for their support at the ceremony. “On behalf of our parent community, it’s an honor to be here to dedicate this beautiful fountain for ISB’s 35th anniversary. From planning to construction, it’s really been a collaborative process every step of the way,” she said. Each section of the hand-carved fountain stands one-meter-high and measures eight meters across. The fountain is also equipped with lights to ensure it complements night events. 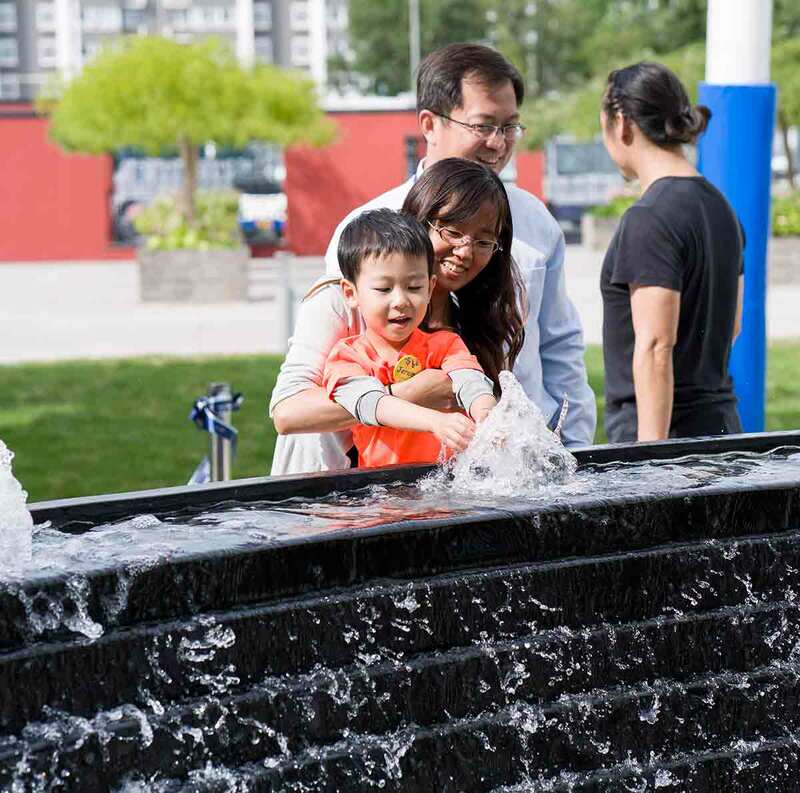 “Our goal was to enhance the outdoor atmosphere for school events, providing a relaxing environment for all occasions from theater performances to our year-end graduation ceremony,” said ISB Facilities Director Jason Wang.